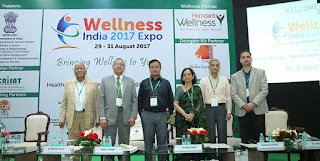 “Wellness India 2017 Expo ” (Health India Expo+ Biotech India Expo+ Organic India Expo) opened its doors from 29 Aug - 31Aug’17. 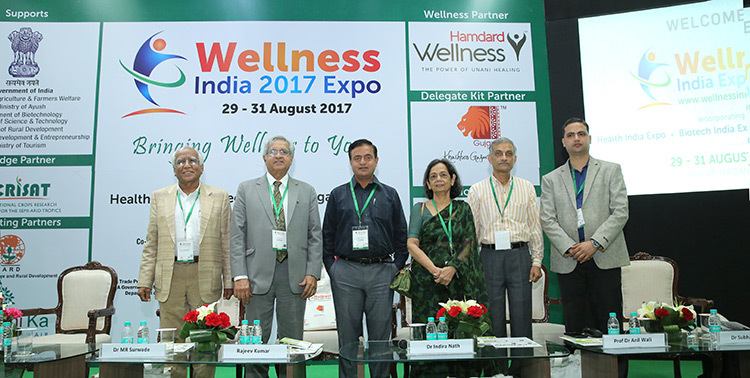 Wellness India 2017 Expo, integrating organics, health and biotechnology, is a favorite for all ages! 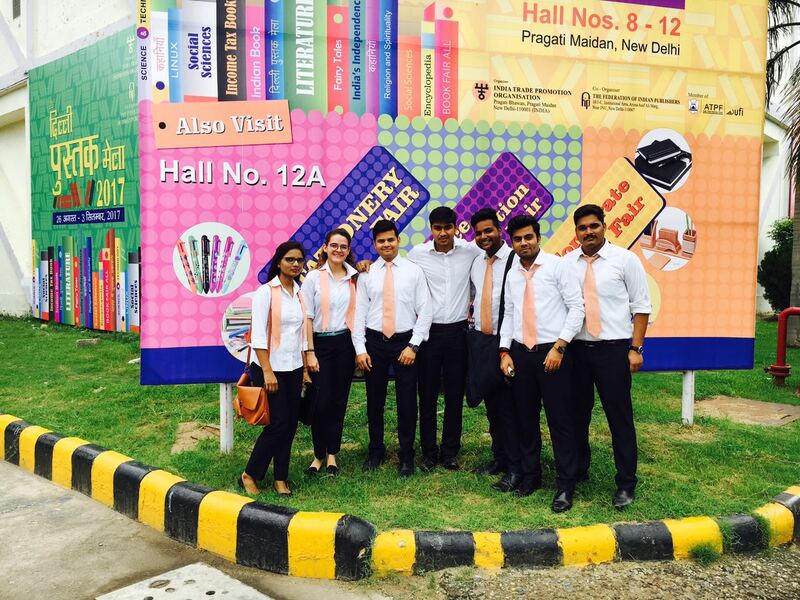 Attended by multitudes, it was buzzing with a wide range of exhibitors, booths, seminars and dynamic workshops. The expo opened up vast opportunities for participants to enjoy wellness wisdom in groups and individually. At the creative entertaining workshops, participants learnt about the potential applications of various health therapies, and practiced yoga, mindfulness and naturopathy, amongst others. Being Students of Indian Institute of Learning& Advance Development (INLEAD), we got the opportunity to explore “Wellness India 2017 Expo”, free of cost, and we really learned a lot. The expo started on Tuesday, August 29, in Pragati Maidan, New Delhi, where major companies showcased ground–breaking technologies and services related to health, biotechnology with new organic product launches, Organized by the ITPO (India Trade Promotion organization), Exhibitions India Group, the Ministry of Science & Technology, Ministry of AYUSH, Ministry of Rural Development, Ministry of Skill development & Entrepreneurship, along with Ministry of Tourism. We tasted, sampled and experienced organic and natural products from exhibitors nationwide including rice, vegetables, fruits, processed food, skincare and cosmetics, cotton, as well as health and beauty services from leading fitness centers and spas. The captivated audience at the conference sessions heard industry leaders on what it takes to break into and succeed in the wellness industry, while having a massive impact by transforming the health of their communities. Discussions also centered around strategies on how to build your brand, become a leader in your field, and leverage industry relationships to launch and sustain a successful business in the organic, health and biotech sectors. Wellness India 2017 expo, incorporated Health India expo, Biotech India expo and Organic India expo, & is an excellent platform to know what’s new in natural remedies, alternative medicines, Ayurveda, nutrition, organic, herbal and natural personal care products, biotech and so much more! The event provided a unique opportunity for gaining invaluable industry knowledge, building new contacts and networking with thousands of attendees including government representatives, industry pioneers, large corporate, leading technical universities and research institutes, health practitioners, SMEs and a new generation of innovators shaping the future of healthy and sustainable products. Witnessing this gala event we are pleased to note that India is going Organic, is concerned about healthy living & is moving into highly aimed biotechnological era. We are in throes of a transformation which will make us a global organic powerhouse. “The 2017 Wellness India” initiative from Govt. of India will surely empower and equip the ordinary citizen in a way that will clearly be revolutionary.